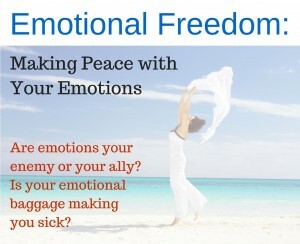 Emotional Freedom: Making Peace with Your Emotions — NEW WORKSHOP! 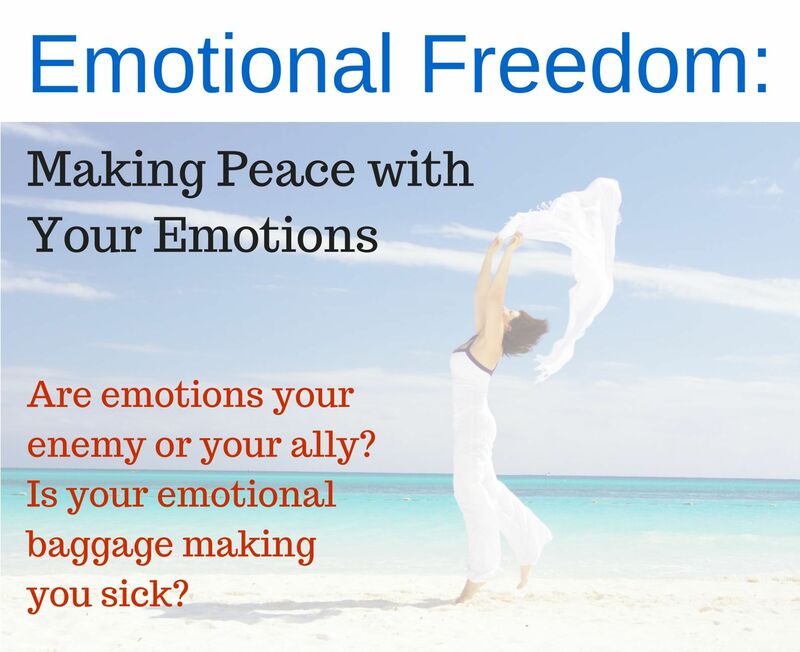 Do you feel like you revisit the same emotional patterns over and over? Do you find yourself responding way out of proportion to certain situations? Do you get caught in a vicious cycle of pain and anxiety? If you are frustrated and confused about dealing with emotional energy within yourself or in your family, this is the class for you. When you complete this class, you will be proficient at using EFT Tapping on yourself and you will learn many different strategies for working with your emotions for optimal health and wellbeing. Registration required. Space is limited so please register early. Would love to take your class but can’t make it on a week day. Keep me in mind if you do one on the weekend! Thanks for letting me know of your interest! I do hope to repeat this class in a few months. Would weekday evenings be a good option for you as well? Thanks Candy! I sent you a private message via email. We will be doing some EFT in the class but also several other tools/techniques. Everything is centered around learning to manage emotional energies on our own. If you are already familiar with EFT, that’s great! We will be covering much more than just EFT: clearing trapped emotions, energetic grounding, understanding how emotional energies work, and more. I know the theory behind it all-one book (The Tapping Solution)and video was my first introduction to EFT although before that I think I worked with a lady in town for a couple of sessions -(before I got more serious about it on my own).